Trick Or Treat! Our Team Is Ready For Halloween! 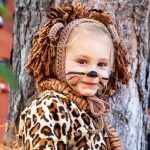 MAKING A HALLOWEEN COSTUME is one of the best opportunities to exercise your imagination and let your creativity shine! Whether you dress up as a movie monster, comic book character, or just something funny, we love seeing costume ideas come to life. This year, we want to share with you some of our favorite costumes! Here is two of our team members in costume! 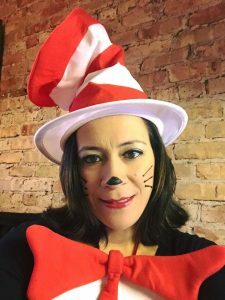 Last year Mimi, our insurance coordinator, dressed up as The Cat in the Hat. All she did was buy The Cat in the Hat accessories, put on all black clothes, and she finished her look with some face paint! 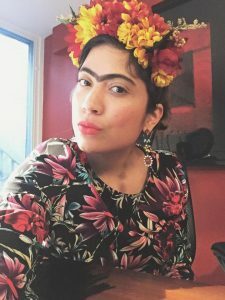 Lariana, our marketing coordinator, dressed up as Frida Khalo. This is an easy DIY costume. She made the flower crown herself and pulled clothes from her very own closet that resembled Frida’s style. To finish the look, she hand drew a uni-brow on her face. Do You Need A Last-Minute Costume Idea? Try This One Out! Top image by Flickr user UnknownNet Photography used underCreative Commons Attribution-Sharealike 4.0 license. Image cropped and modified from original.